Care: this includes consultation, laboratory and dispensing of medications at highly subsidized rate. Referral: patients needing attention/treatment above what the Center offers are referred to the appropriate level of healthcare. Counseling: in as much as it is possible,patients’ family members are invited and encouraged to join the sessions. Follow-up / monitoring of registered patients including those referred to higher levels of treatment. Periodic health-talks to patients and members of their families. Continuous in-house training for staff. Advocacy/homage visits to traditional rulers / heads of towns and communities of Ogun State. 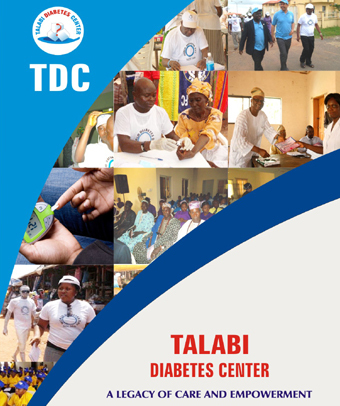 Outreaches/awareness drives, during which willing participants are freely screened for diabetes and hypertension. Those diagnosed or found to be pre-disposed to the conditions are advised to visit the Centre or the appropriate level of healthcare facility in their neighborhood. Periodic, carefully programed training of various levels of healthcare providers with attention and priority on Primary Care Level. The Center opens to the public Mondays to Fridays between the hours of 8.30am and 3.00pm. The Center remains closed during weekends and national public holidays.